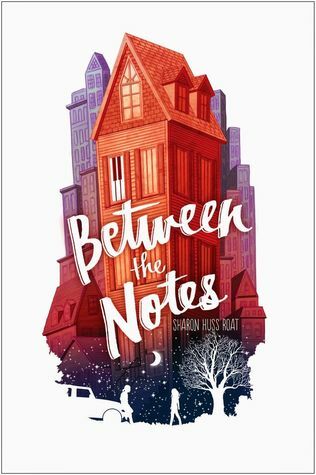 When Ivy Emerson’s family loses their house—complete with her beloved piano—the fear of what’s to come seizes her like a bad case of stage fright. Only this isn’t one of her single, terrifying performances. It’s her life. Ivy is forced to move with her family out of their affluent neighborhood to Lakeside, also known as “the wrong side of the tracks.” Hiding the truth from her friends—and the cute new guy in school, who may have secrets of his own—seems like a good idea at first. But when a bad boy next door threatens to ruin everything, Ivy’s carefully crafted lies begin to unravel . . . and there is no way to stop them. As things get to the breaking point, Ivy turns to her music, some unlikely new friends, and the trusting heart of her disabled little brother. She may be surprised that not everyone is who she thought they were . . . including herself. Debut author Sharon Huss Roat crafts a charming and timely story of what happens when life as you know it flips completely upside down. First Line: "I came home from school on a Thursday in early September to find my parents sitting on the couch in the front room, waiting for me. " Review: Ivy Emerson used to have "the perfect life." She came from a wealthy family and got everything she ever wanted until one day her family tells her they can't afford to live that lifestyle anymore and will be moving to the "wrong side" of town, which for someone like Ivy is a total and utter embarrassment so she does everything in her power to keep up the facade that her life is still the same around her uppity friends at school, of course, she never expected to fall for the wrong boy on the wrong side of town either. At first, Ivy came across as a brat in a way, her prejudices against the people in her new neighborhood was a little frustrating but it was realistic and she had great character development throughout the story which helped me grow to really love her. The story is more than just a girl falling for the unexpected guy, it had to do with life situations that everyday people face. Her parents had to give up their lavish lifestyle because they have a son with disabilities and it was either paying for the medical bills to take care of their son or living in the big fancy house. The book touched on sacrifices and tough choices that everyday people have to make on a daily basis and I personally think Between The Notes has a great message for its readers. The only reason I knocked off a star was that there was an unnecessary love triangle! If love triangles are done right I love them but I didn't even see the point to it in this book. It was clear as day who she was going to end up with. Don't let the love triangle scare you off though it's still worth the read. ~"A friend is someone who knows all about you and still loves you"